A far cry from indigence and small town confinement, Kyneton, just 80km from the Melbourne CBD, is a flurry of crisp ice-cold air and the scent of freshly cooked sweets, well known for its wide and parading roads, local farming and iconic bluestone architecture. Until the mid 1990’s, Kyneton was a bustling thoroughfare, servicing hungry travellers and inquisitive antiquaries as they stormed down the Calder Highway in need of a rest stop and a bite to eat. In recent years, however; the township has been long forgotten as highway bypasses continue to knock on it’s doorstep – sending tourism further from its streets in the name of arriving faster to a destination than ever before. Many country towns have lost their way, no longer able to rely on passers-by for their economy. Kyneton, like Castlemaine, Daylesford and Macedon in central Victoria have paid the price of the Calder developments, relying mainly on locals to keep businesses afloat. Thank goodness then, for the foodie reconnoissance. As tourism struggles across Victoria, Foodism is growing at an almighty rate – sending food-lovers off on adventurous country weekend-benders, in line to be the first to get a taste of local produce and the culinary flare of the land. With fresh food markets and harvesting fairs and festivals spread across the calendar year, the area is once again thriving and appears to be far from slowing down. 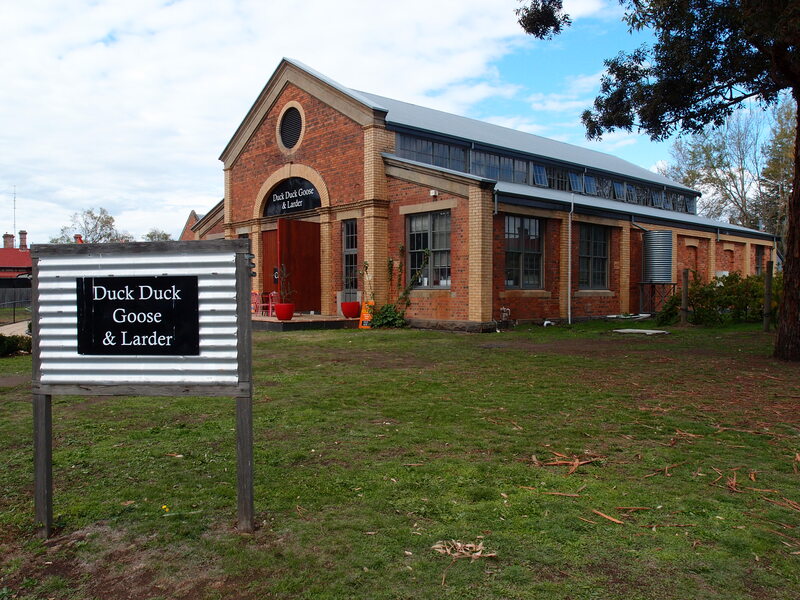 Situated in the old market hall on Piper Street, amongst several fresh, homestyle cafes and farm-to-plate restaurants lays Duck Duck Goose & Larder. Despite being relatively new, it is making quite a name for itself. Serving up the ever popular Coffee Supreme ‘South Blend’ on the coffee front, Melbournean’s are giddy at the chance to lap up the best coffee in town, out of town. 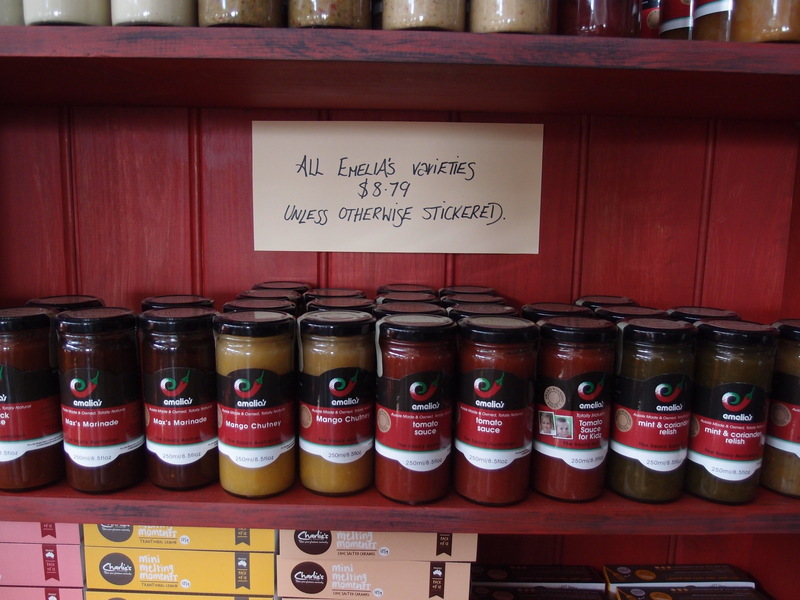 To sweeten the deal, DDGL has preserved the historical market, with a fully-fledged marketplace out the back of the cafe, in the original market hall – supplying tons of local produce from Sidonia Hills Natural Beef, Bendigo ‘Good Loaf’ Sourdough, Sutton Grange ‘Holy Goat’ Cheeses and Kyneton produced Emelias relish and chutney and Henry Langdon spice range. With a selection of beautiful home wares, restocked weekly on offer including uashama and Morgan and Fitch, DDGL also have bi-weekly deliveries of local flowers making the marketplace a one-stop-shop for locals and travellers alike. From the market floor to the front of house cafe, DDGL carves up some of the finest all-day brunches in town from berry coulis with almond praline to poached eggs served on a sweet potato rosti and accompanied by slow roasted tomatoes, baby spinach and smoky harissa hollandaise. With a generous indoor cafe area dominated by large communal wooden tables and smaller private spaces, the cafe is detailed with humble fresh flower vases and farm-style water jugs alongside mis-matched crockery and chairs. 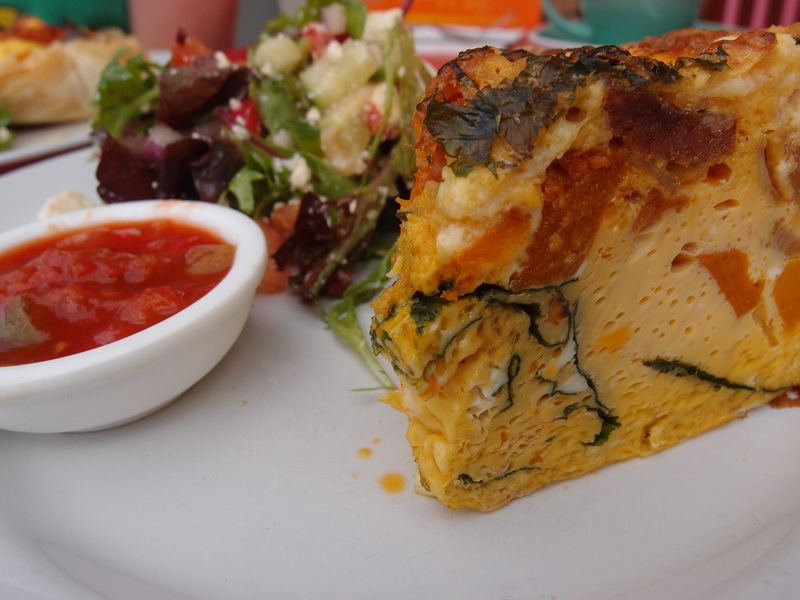 We sampled the tart of the day – a roasted vegetable and feta savoury tart with crisp puff pastry on a side of sweet greek salad and homemade tomato chutney along with a feta and pumpkin fritatta made from perfectly aerated, fluffy eggs and Jonesys milk from the “fair go” Jonesys diary farm in Kerang. 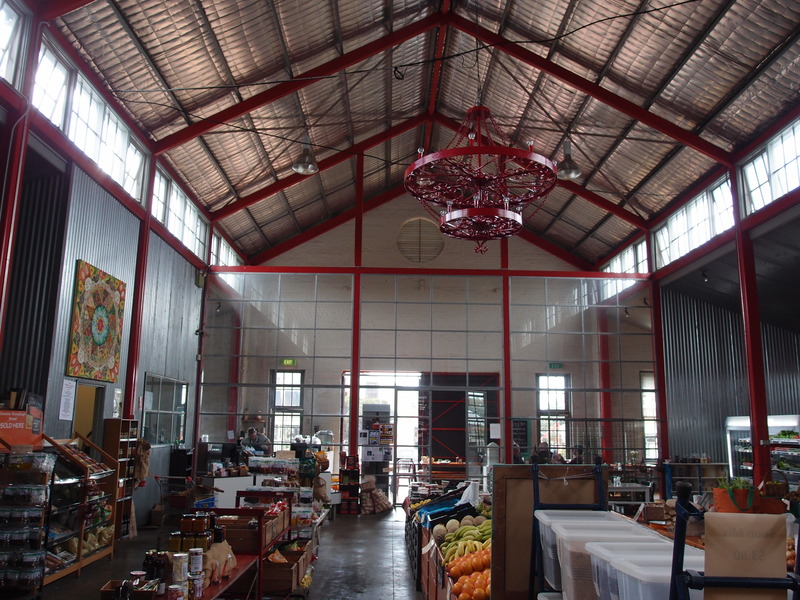 The store is open and vast, making the most of the high barn-style corrugated iron and glass ceilings, that celebrate the brief bursts of sunshine, so very welcome on a cold and rainy day – so frequent in Kyneton. The cafe and market floor was warm and cozy, inviting, with a strong resonance to family and the land. Photography by Benjamin Johnston and Ella King.